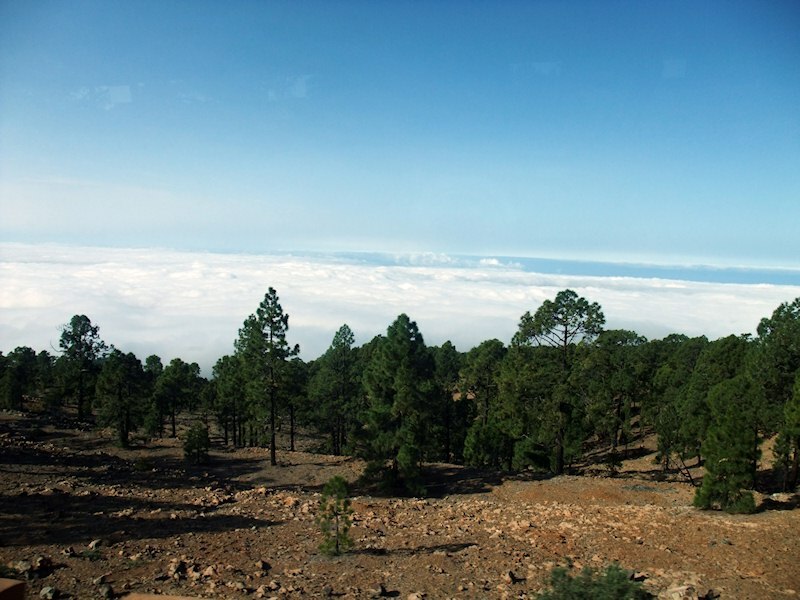 Tenerife is a volcano island and Mount Teide is the third largest volcano in the world with its 3718m. Here we're on our way up. It was a rainy day with heavy clouds so we didn't expect much of a view, but then suddenly we got sunshine as we passed through the clouds. It was a glorious moment that felt like entering heaven. Very beautiful. The pictures don't quite do the experience justice.